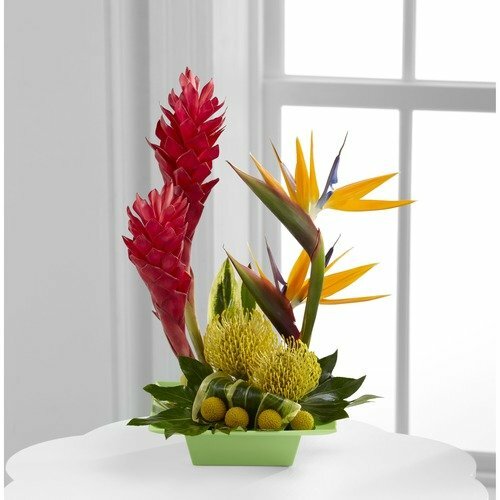 The Exotica Arrangement employs the use of ginger and Birds of Paradise to create a sensational arrangement for your special recipient. Blooming with the color and textures only found in the tropics. This flower arrangement is set to celebrate a birthday, send your congratulations or bring a sense of sunshine into their everyday. * Great web site, I'm in Afghanistan so I can’t just go to the shop and buy some, they made it very easy to navigate the site and check out, and they have great looking flowers. I will recommend to all my brothers over here.